Goodness doesn't time fly! We are now up to J. 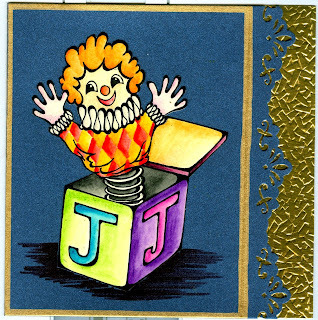 Now I didn't have a clue what to do for J, then I came up with a brainwave ........ Jack in the Box! So I drew one for this card. 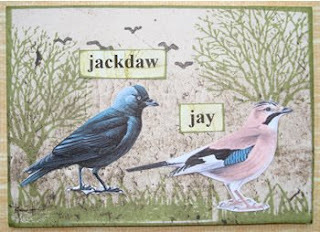 And Lesley has continued her nature ATCs with Jay and Jackdaw. And Fifi has used one of my teddy stamps, a Judo Teddy, isn't he cute! 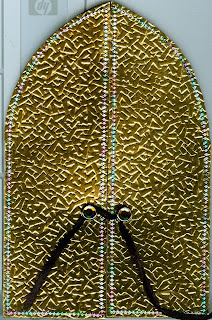 What a lovely J tag with Jewels also, if I am not mistaken! Another week, another letter..................this week we are up to I. I have done my card using Inks, alchohol inks to be precise. I have used them for the background,for the flowers and for the butterfly. 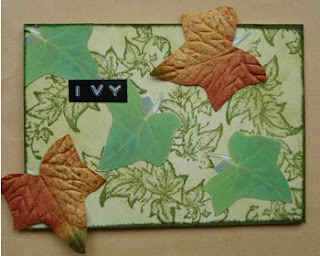 Lesley this week has done a beautiful Ivy ATC to continue her set of nature themed ATCs. 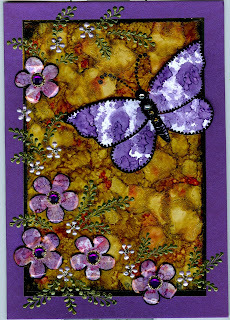 And Fifi has made a triple I this week, Ink, Insect and Inchie, with this fabulous dragonfly inchie. ..............and here we go again. this week I have done an H is for Horse card. 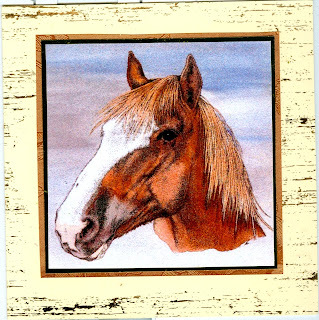 The horse on my card is a portrait that I painted of a horse that I bred a few years ago. His mother was a shire horse and his father was a Welsh cob..............He's a stunning horse, and his name is Foldor Minstrel. 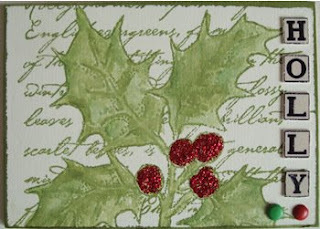 The printed image was matted and adhered to a cream distressed card blank. 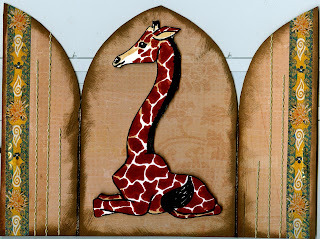 Well here we go again, another week, and we are now on G. My G this week, is a Gold, Gatefold Gothic arch, featuring a Giraffe and Gem brads! 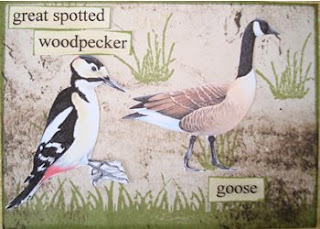 This week Lesley has made a lovely nature ATC featuring a Goose, a Greater spotted woodpecker and Green Grass! And Fifi has made a beautiful tag featuring Goldfish, Gilding and Gems!